It's Friday night. 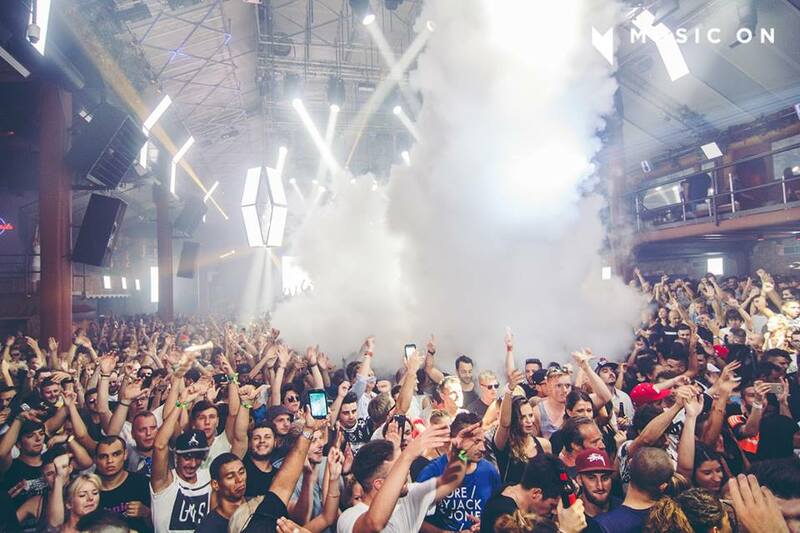 DJ Mag is in Ibiza, waiting outside Amnesia, one of the island's most important and long-standing nightclubs. The queue winds like a serpent out into the dusty carpark as the masses wait in gargantuan queues to get inside. Expectant ravers patiently perspire under the spotlights, as a kaleidoscope of languages bounce off the cars and out into the night. DJ Mag doesn’t need to worry about any lengthy negotiations with the bouncers, as we're waved ceremoniously through the gates, names checked and wrists banded, before tottering across Amnesia's cobbled entry and into the inky dark. We're not here just to flex our credentials; we're here for the opening night of what’s grown into techno’s most fiercely loyal clubbing cult — we're here for Marco Carola's Music On. The bass smacks hard against our eardrums as we enter through a side door, scuttle down a long narrow corridor, and out onto Amnesia's cavernous terrace. The enormous room is pulsating like a misty dream sequence from a Hollywood flick, as the 5000-strong crowd surges to the beat in otherworldly unison. We're hurriedly ushered through the dancefloor by an Amazonian beauty — she's later introduced as Marco's PR assistant — and up and on to the terrace's rocky and so-often-photographed booth. And there he is. Standing just outside the strobing light at the side, flanked by yet another PA and various members of the Music On posse. They buzz around him like flies whilst fans from the nearby VIP bar stare silently in awe — it’s an apt preview of the mass hysteria that’s still yet to come. Stoney-faced and focused, like a mighty General waiting to go into battle, Music On’s commander-in-chief looks powerful. 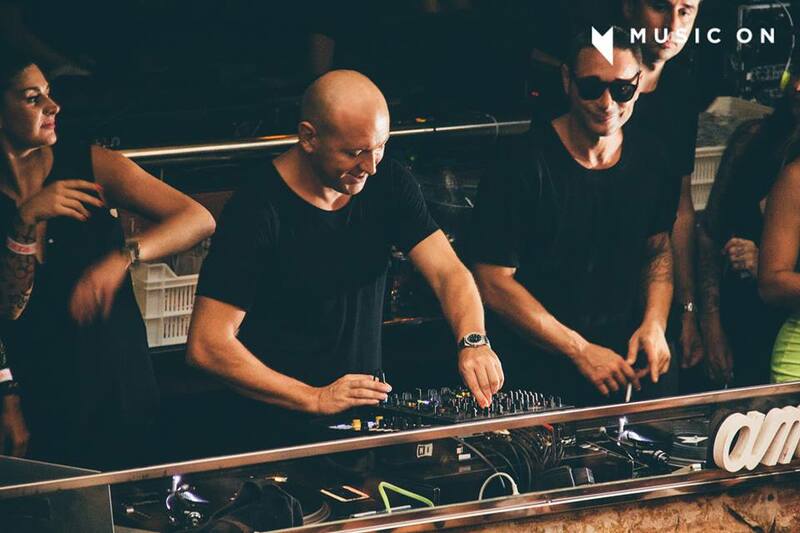 Marco Carola, the man we’ve all been waiting for, is ready. As we watch, he steps down into the light in front of his adoring public, elevated above the pulsing throng like a demi-god as the masses whoop and holler with child-like glee. Spotlights swivel and the dancefloor is bathed in red light as the club’s air thickens with sweat-soaked anticipation, and crystalline techno starts to ooze like sap from the speakers. He’ll captain the decks for a whopping six hours tonight, slamming down everything from gluey minimal techno to spiky tech-house (perhaps even a vocal or two! ), plus the occasional vintage, industrial anthem. The time slips by in the blink of an eye before Carola raises a hand above his head to signal the end of the show, as light streams into the terrace from high overhead. As the final bass beat slams from the stacks, he’s promptly whisked away as fast as he arrived, off to spin at a party reserved exclusively for those in the Ibiza elite. Standing in the Amnesia booth atop his empire, a legacy he’s spent nigh-on two decades building, Marco Carola looks invincible. He’ll do this 16 times over the next four months, as part of his Music On residency at Amnesia, before jetting off to Miami and Barcelona for the off-season. He’ll also listen to over 2000 new promos a week, spin up to 10 marathon sets a month, craft countless new edits in his studio and play the occasional foreign festival including the UK’s upcoming SW4 at the end of this month. Famously guarded and not often open to one-on-ones with the press, DJ Mag is here to meet the man behind the myth, the real don behind Music On. And we want to know: who is Marco Carola when the show is over, when the strobes stop flashing, when the club doors close? Who is Marco Carola when all the lights, finally, come on? London is nothing new to Carola, he's been here many times before. “Actually, one of the biggest places I really discovered music was London,” he says. “You know, I was going to Fat Cat and Ultimate Base, Carl Cox...” he trails off. 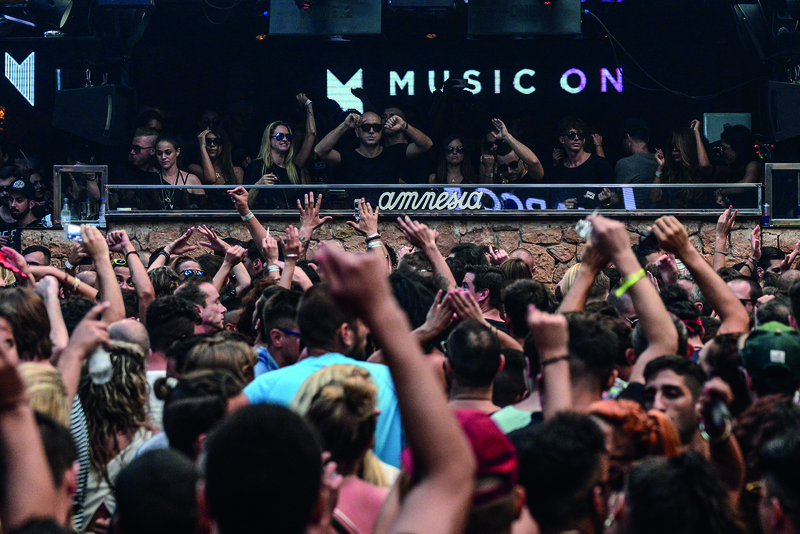 Carola has oft touted Cox as a pivotal influence — a man who's held down a residency at Amnesia's biggest rival, Space, for as long as anyone would care to remember. Back on the Music On dancefloor, a group of models are shrieking like demented cats as tatted-up bros smack each other on the back inside the booth. A look over the edge and down into the heaving pit reveals a petri-dish of clubbing stereotypes — there's everything from fresh-faced Ibiza virgins to leathery, techno veterans. What's even more apparent is the sheer number of Italians at this party, because to them, Carola is their king. Italians have historically had an obsession with techno. It’s thanks to a flourishing scene based largely in Rome from the end of the ‘80s that techno has become a religion for the Italian youth, only to be rivaled by techno’s foundations in Detroit or, perhaps, Berlin in the noughties. Why do you think Italians have this obsession with techno? Why is it important? DJ Mag asks. Standing on the Music On dancefloor, it's loud. Really, really loud. As we stare down the terrace's full length, our eyeballs burn at the sight of a huge LED screen that displays Music On's dystopian-looking logo in full pulsating glory. Dancers appear on platforms doted around the room, the crowd so dense they seem to float, glassy-eyed, bottoms bared and seductively gyrating, above the swelling crowd. As we watch, we’re struck by just how terrifying it must be to man this room, a place so gut-wrenchingly fêted with expectation you could cut it with a knife. 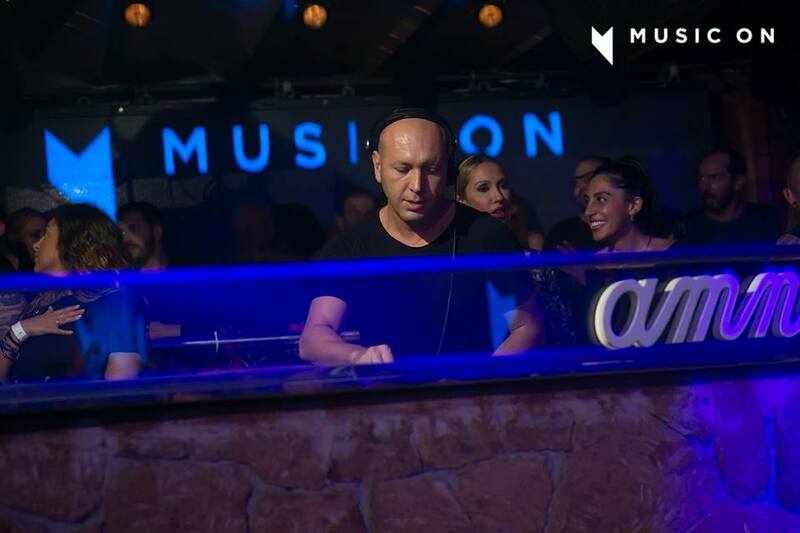 Such mass adoration is not afforded to just anyone, which leaves us questioning where did Marco Carola really come from? Born in Napoli in the mid-seventies, Carola’s upbringing is something rarely discussed. “I think if I hadn’t been a DJ, I don’t know, I would have done the same thing as my father,” he muses, when asked. What his father does, he doesn’t say, instead he skirts the question nimbly like he’s been asked many times before. 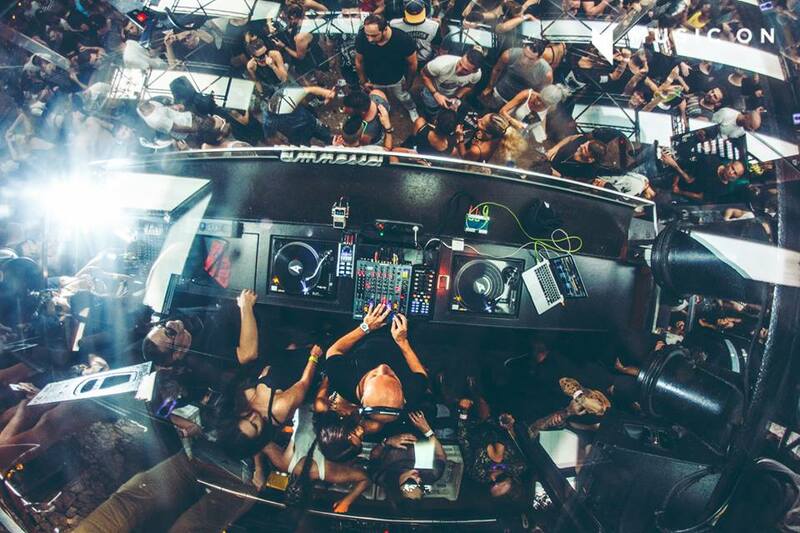 With a life spent jetting all over the globe, it's hard to fathom where Marco Carola really calls home. With six LPs under his belt to date, it’s in the studio, he says, where he feels most relaxed. He’s watched the relationship between DJs and producers change significantly over his twenty-year career, watching favour tip strongly toward those who can both produce and spin. “That’s why so many people are making music now. To get bookings and to make money on the live show side of things. But when you’re known already, you don’t really need to do that — that’s the difference for me,” he says, sagely. A financial or career necessity it certainly is not, but with his last LP ‘Play It Loud’ receiving mixed reviews — it followed his much-lauded 'Fabric 31' mix that is still regarded as one the series’ best — it’s Carola’s carefree attitude that has kept his music-making cathartic. “When I started Music On (the label) a few years ago, I had the pressure then to produce an album, or just a track or anything for Music On as a label. Today, with all this music out, to make the difference, you need a LOT of time in the studio, and unfortunately this is something I don't have right now. Music On was a big challenge and very time consimung, but one day of course I will return." 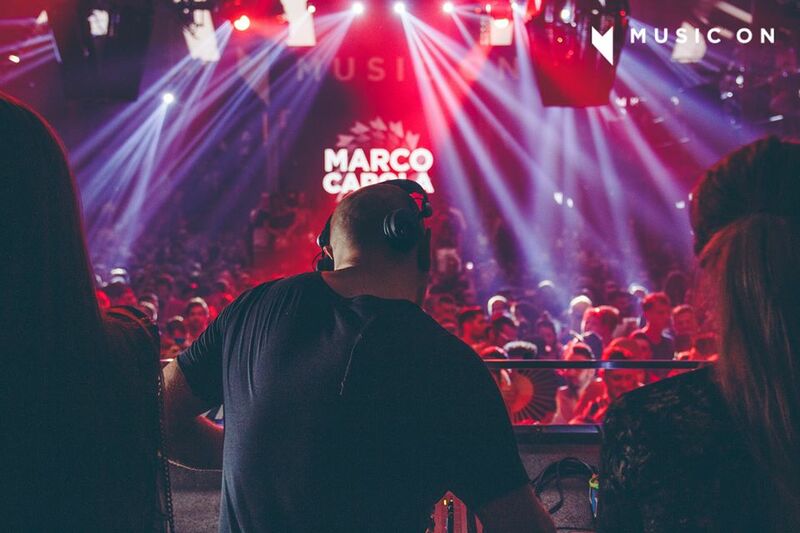 Ultimately, there’s little about Marco Carola’s existence that doesn’t seem meticulously planned. As we talk in London, his assistant is flitting around in the background, packing clothes, organizing flights, and occasionally interjecting to talk at light speed in Italian. Carola’s answers are concise and articulate; this man knows what he’s doing. But it’s the flashes of humility and, dare we say it, vulnerability that make Marco Carola seem, well, mortal. Revered, much-touted and undeniably intimidating, it’s these rare cracks in Carola’s armour that make him most appealing as a person; the parts the fans never get to see, the bits hidden away from the public eye as he stands resolutely atop his kingdom each Friday at Music On. Simply because, they remind us that one of techno’s greatest legends is — in fact — only human. * This article was taken from DJ Mag's August 2015 cover.